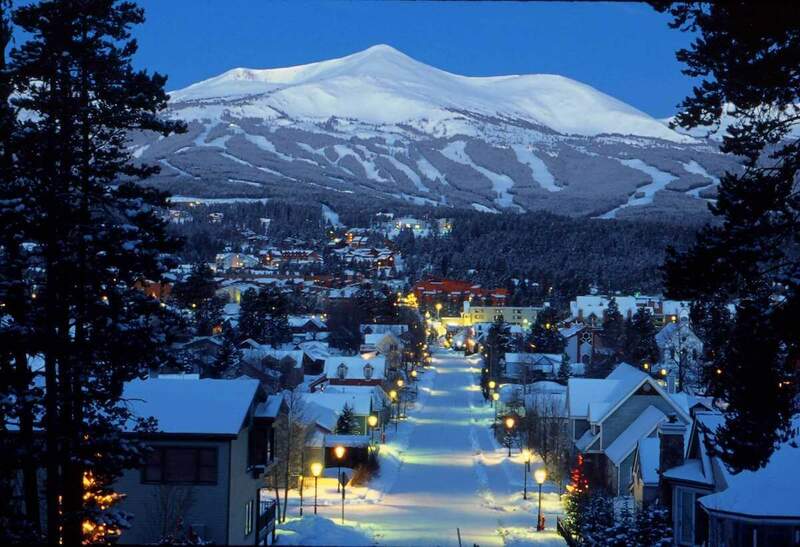 Many clients search for a one way van or car rental to Breckenridge so they don't have to pay for the vehicle during the entire week. This is a good idea depending on the time of year however you must keep in mind that one way rentals can be very pricey especially during the winter time. Many times these rentals can be even more expensive than renting a car for the week or than taking a shuttle to Breckenridge. You can rent vehicles once you arrive in Summit County. Rental locations are outside of the town in Frisco, Silverthorne, and Dillon Colorado. These rentals are many times more money than renting from a Denver location however are usually cheaper than renting directly from the Denver Airport. Typically the best option if you really want a one way rental is to take a shuttle or private car. When you include gas and all the fees and taxes, the one way rental is not usually the best deal. This can change depending on the time of year, it's just a general thought. You can rent one way van and SUV rentals from Switchback and drop them in Breckenridge or Denver. The rates do vary depending on the time of year. You can almost always get a much better deal on a weekly or daily rental.. How it works? You pick up your rental from our Denver location or we can snag you directly from the airport. If you are doing a one way in the other direction we can drop your rental car off with your group. 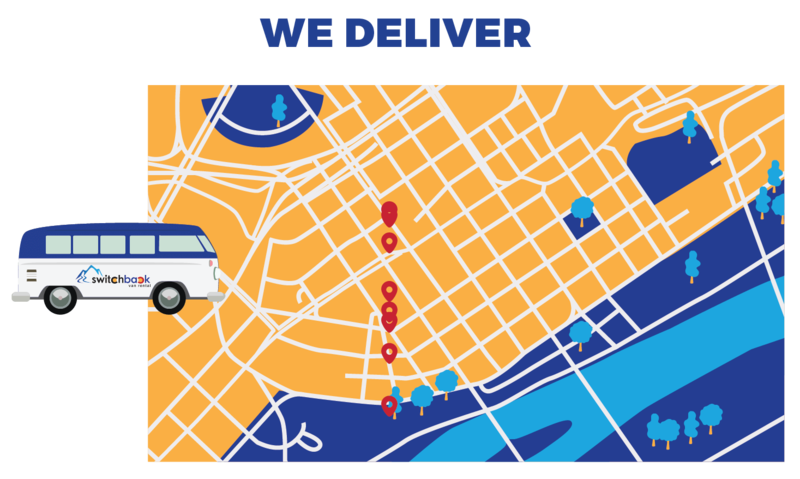 Switchback can deliver your van to your exact location or the airport. 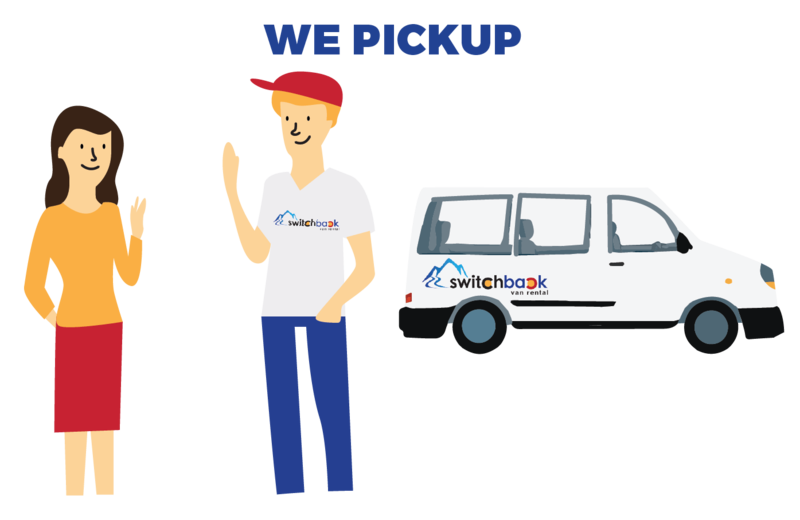 Switchback can pickup your van from your exact location or the airport.